We don't believe in "one size fits all" - we know your bridesmaids are tall, curvy, petite, pregnant and plus-sized, so we design each dress to their exact measurements. Many custom skirt options- choose from mini to maxi, fitted to flowy. 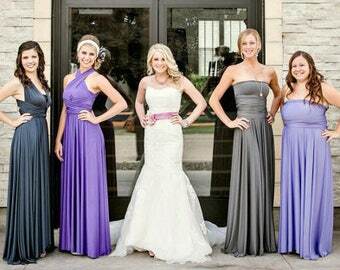 Order your perfectly-fitted convertible Infinity Bridesmaids dresses now. Hundreds of color options available. Getting the ladies ready for their debut! Way back when, I was a cowgirl. A rodeo queen, to be exact. Miss Teen Rodeo Idaho, if you want to be precise. In my teens, I started designing glitzy rodeo outfits covered in sequins, rhinestones, and sparkly leather fringe. Necessity is the mother of invention, after all, and I needed showstopping pieces and a unique style to help me stand out in parades, on stage, and on the back of a galloping horse! After several years on the road singing with bands, I started my etsy shop in 2010 selling couture (yes, hand-sewn) Victorian costumes and leather cuffs I'd been designing for musician friends. Living in Austin, TX at the time was a perfect launch pad for my custom dress shop. I absorbed so much of the music and art that surrounded me in one of the most creative cities in the country, and all this gave me a broader vision to come up with cool designs that pop on stage, catch your eye on the street, and MOST importantly - fit like a dream. A glamorous gown or flowing sundress can also be super comfortable. I love designing custom pieces you will wear over and over. Most of my one of a kind print fabrics come from New York, where I spend as much time as I can. I get so much of inspiration from the elegance of city, but I am a homegrown country girl and I find beauty in simple, graceful lines. My dresses are designed with the real girl in mind and I understand the pain of being a hard-to-shop-for body: the very curvy, the very tall, the very petite. 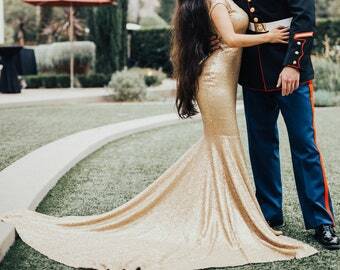 I custom make each dress to your measurements, so you're sure to FINALLY have the perfect fit. When I'm not on the road with the band, I'm designing tasty treats to stop the show. I am inspired by the thousands of old movies I have seen in my life - I am drawn to the unusual as well as the classic. I believe the world needs more glamour! Meagan is an original designer with a classic old-movie glamour point of view. 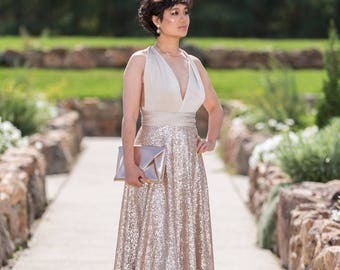 Rooney Mae gowns are a mix of silver screen luxury in easy-to-wear refined fabrics. Most Rooney Mae gowns use various jersey, knit, or stretch fabrics with raw edges and flowing designs. Rooney Mae custom couture costumes have a historical point of view and over the top details. I love making beautiful things that flatter all shapes and figures... message me for more information!